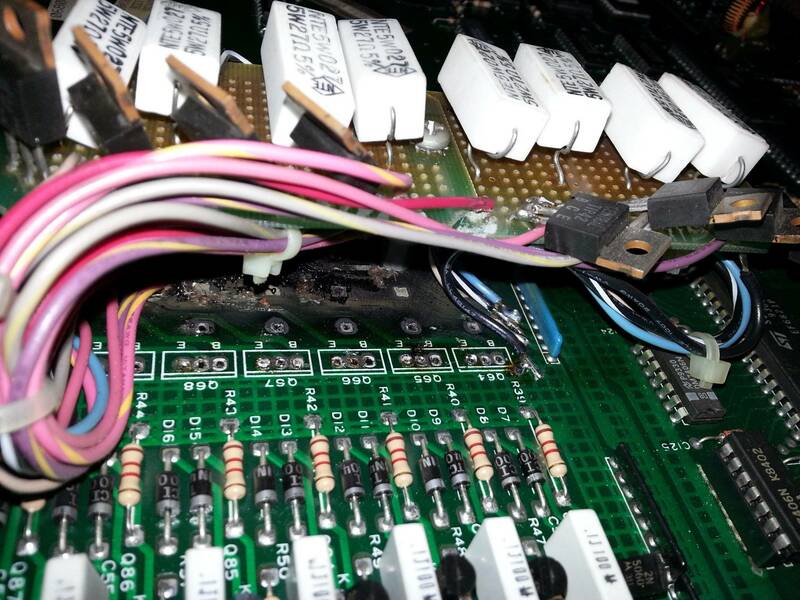 » Forum » Tech » Tech: Generic » PCB - Repair - Burn through hole Tip122 - Any pics? » PCB - Repair - Burn through hole Tip122 - Any pics? PCB - Repair - Burn through hole Tip122 - Any pics? two part clear epoxy there and wait till it hardens. Any other ideas? I've never had an issue like that on any game I have or have worked on. I suppose that would be a great solution and you could then paint it green as well. Just for giggles, here's some pictures of a TFTC I worked on. I did not do this repair I just happened to see it when I was working on other issues the game had. I think the hole was deliberately made to run the wiring through, but holy smokes did that entire transistor/resistor areas burn up! Interestingly, that part of the game worked fine. I just love the bridge that was made to hold the new devices. People can be creative. O.K., this may be a dumb question. Can someone explain to me what causes this in the first place? In this case, you will likely end up filling in the hole with epoxy and run wires to where you can meet back up with the runs on the circuit board. 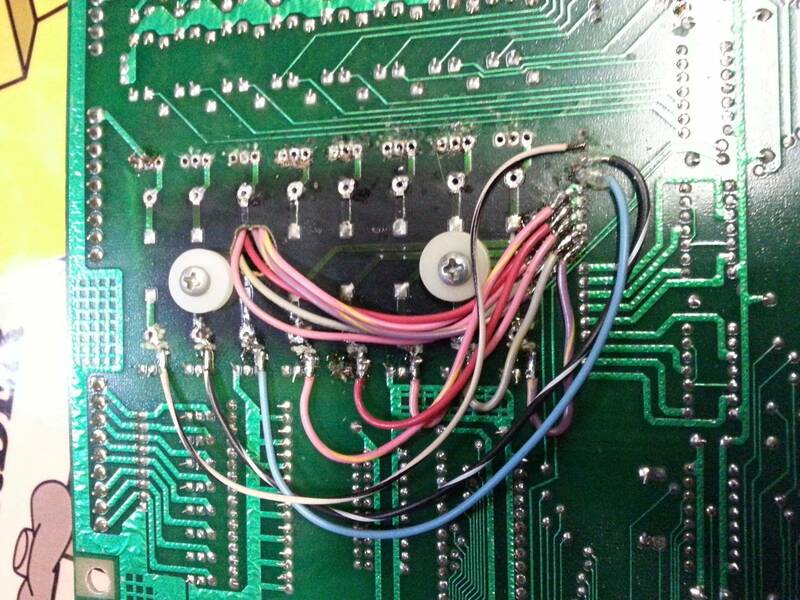 Just worthless info - we used to have to do this on multilayered circuit boards - nothing like finding out you forgot to install a run two levels down after you're done.